A few weeks ago it was a cold and snowy Saturday, one of those days where you can’t be bothered to leave the house for anything. When I went to whip us up something for lunch I realized there wasn’t very much in our fridge to work with. All I had was some leftover carrots and cauliflower. 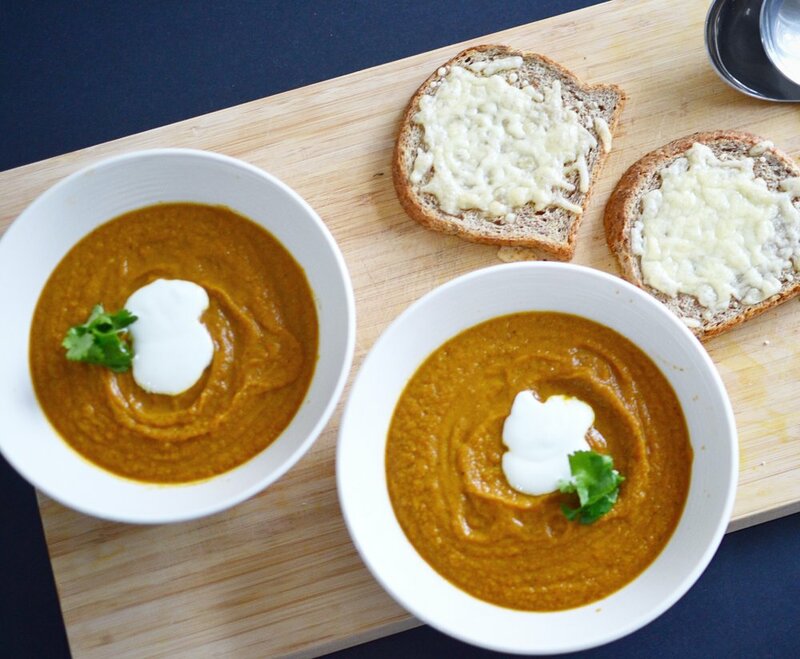 I quickly typed these two veggies into Google along with the word “recipes” and came across the recipe for this Spiced Cauliflower Carrot Soup. I had all the ingredients handy, so I was on my way to making a delicious lunch without having to leave the house to pick up any groceries – SUCCESS! The only difference in my version was that I actually roasted the veggies before adding them to the soup (30 mins at 350 degrees F). It makes a really big difference in flavor; it adds a smoky flavor to the dish, which is delicious! And the other difference was I blended the mixture in my Vitamix instead of using a hand blender. It was a really great lunch! We were thoroughly satisfied and it allowed us to get back to what Saturdays are for - NETFLIX.